This photograph was taken in the Blue Mountains in October 2004. 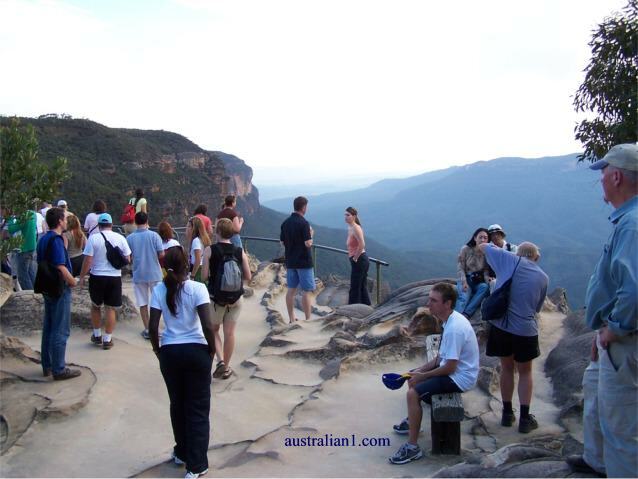 The location is West of Sydney up past Penrith and Katoomba (the capital of the Blue Mountains). The people are a mixed group from several tour buses that were stopped at the time. You must descend approx. 133 or so steps to get to this viewing platform from the road where the tour buses stopped. Just to the left out of sight are the magnificent Wentworth Falls.